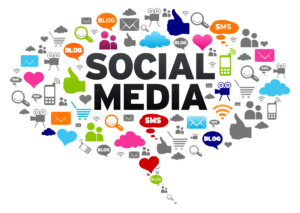 Home » Social Media Tactics » What’s the Best Social Media Outlet for Your Business? What’s the Best Social Media Outlet for Your Business? Facebook: With more than two billion registered users, Facebook is obviously the 800-pound gorilla on this list. I tell clients that if there is one social media site that no one should ignore, this is it. Facebook has taken some hits to its reputation lately, but it’s still popular enough that you can be assured that your audience is active there. Instagram: While Instagram is owned by Facebook, it’s obviously very different. Centered on images, it can be a bit of a challenge for some organizations where there isn’t a lot to photograph. It also tends to lean younger than Facebook. If your audience tends to skew toward 30-somethings and younger, you should be on Instagram. Twitter: If there’s a site other than Facebook that’s hard to ignore, it’s Twitter. The site has gone through a number of changes recently, but still provides a healthy outlet for discussion. Businesses that focus on policy or politics absolutely need to be here. Businesses should also monitor discussions about their industry, and get involved. LinkedIn: If there’s one site that many social media managers seem to want to ignore, it’s LinkedIn. Many say they just don’t know what to do with it. However, more organizations can take advantage of LinkedIn than you might think. While it’s clearly most useful for B2B’s, posting anything you might have that’s business-related on LinkedIn, such as hiring announcements, real estate transactions, and new products, is a good idea. Also, take time to investigate LinkedIn Groups, to see if there’s an active one about your industry. Pinterest: Clearly, Pinterest is the most niche of the sites that I’m discussing in this list. Originally (and still) focusing heavily on crafts, decorating, and fashion, Pinterest can be useful for any business that has interesting product images to share. Interestingly, many social media managers report that they get more website traffic from Pinterest than many other social media outlets. There are, of course, other outlets you can look at, but for most businesses these are the main ones to consider. In the end, the best bet is to look at what you do and who you are, then rank the social media sites in importance to you. The last step is to decide what you have time to do, because if you don’t put the time into keeping up your social media presence, it’s something that’s not worth doing.